The kitchen is somewhere which gets a lot of foot traffic in your home. People making various meals (breakfast, dinner, strange midnight concoctions when you can’t sleep), kids running through and grabbing a snack, you bringing your friends to the kitchen for a cuppa – it’s all happening in this room. This means that lots of people are going to see your kitchen, so why not try and make an impression? The walls are an important area to get right, because they are always in your eye-line. Make sure that they work with the theme you are going for in your kitchen or that they are an eye-catching feature in themselves. Mosaic designs are an excellent way of achieving the latter. 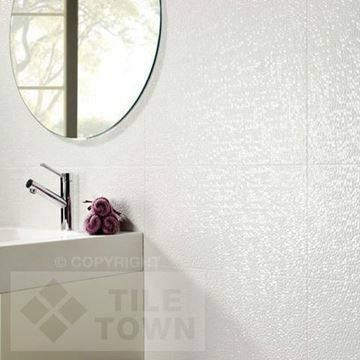 Tile Town’s mosaic-effect tiles are designed to look as good as the real thing with much less hassle. Like mosaic tiles but in one solid tile. Mosaics designs are a brilliant way to make an impression on visitors. In the same way that Ancient Roman mosaics caught the eye of people thousands of years ago, your kitchen mosaic tile design will bestow the room with oodles of character that is sure to make an impression. 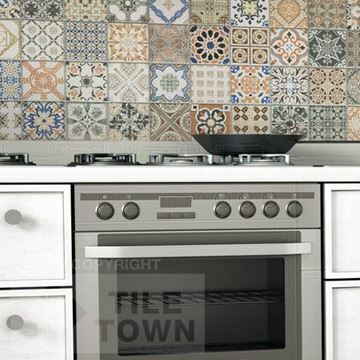 When it comes to Tile Town’s mosaic-effect tiles, you have so much you can choose from. You can really go a bit wild with colours, patterns and themes. A variety of colours and themes available in our catalogue provides inspiration and gives you the best possible choice of looks to go for with your mosaic kitchen tiling. Choose greyscale colours to create a stunning and modern look that will wow friends and family. For a more eye-catching design, choose Provenza Deco Kitchen Wall; a variety of colours and patterns that come together to make something truly mesmerising. 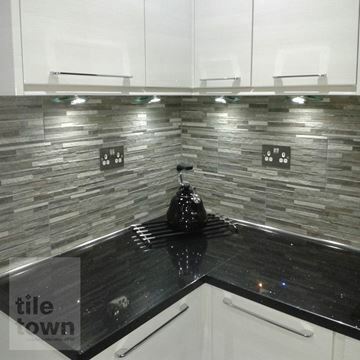 Crucially, mosaics do not have to adhere to any set rules and neither should the look of your kitchen. 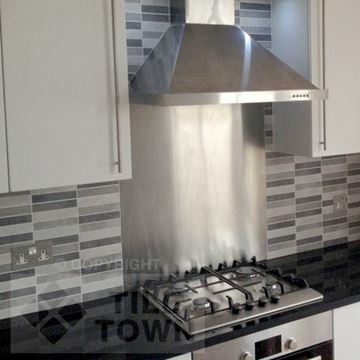 Our team will offer advice and assistance with your vision for your ideal kitchen. You could cover your whole wall in mosaic patterns or you could choose to simply put it in a few places on an otherwise blank space. 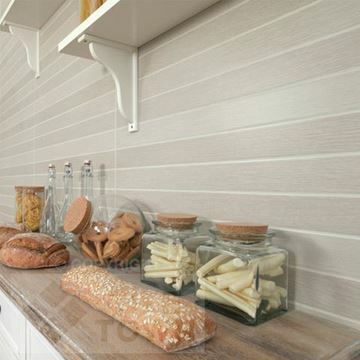 You could also use mosaic-effect tiles to create a border around certain features, like worktops or hobs. Whatever you want do with mosaic wall tiles in your kitchen, we want to help you achieve it with a range that varies in colours, patterns and designs. Come and see our range of tiles in person – visit our East Midlands showrooms in Derby and South Normanton and get a feel for what you’re buying. The Tile Town team is always happy to chat about whatever problems you’re having or give you any advice on laying tiles and interior design. We love to hear about customers’ bold visions for their kitchens, and if you want help with deciding on a mosaic pattern or choosing colours and textures, then don’t hesitate to chat with the team in person, over the phone or via email.